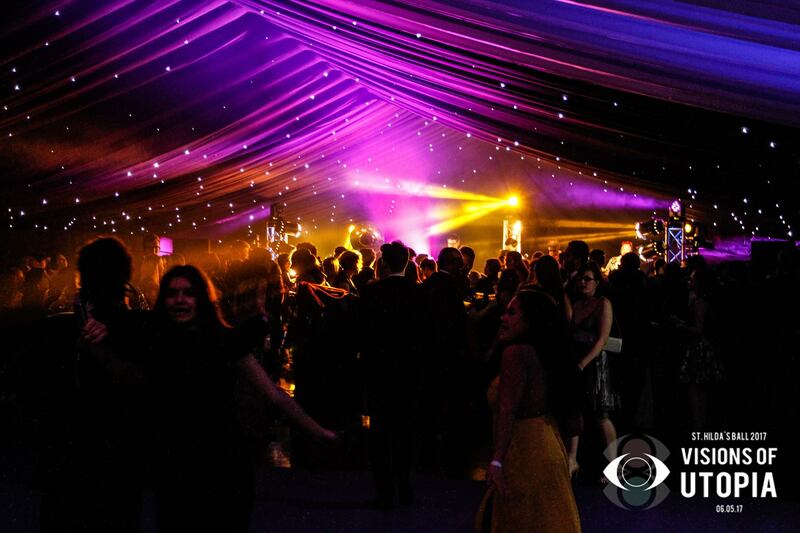 We are a young and rapidly expanding company currently based in Oxford providing event solutions and production equipment in the entertainment industry. With a highly skilled and experienced team of industry professionals, we take a hands-on approach to event management & private parties, creating bespoke events for a wide range of clients and party-goers. 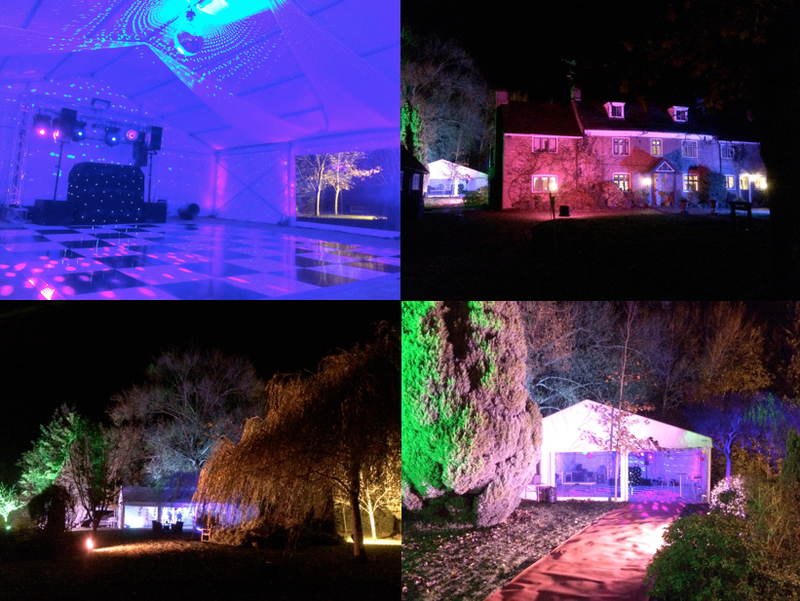 All members of our team are highly skilled professionals with many years of experience in all areas of lighting, sound, AV, event production and operation. We take pride in our personal service and dedication to customer satisfaction. A successful event for our client represents and successful outcome for our team. Much of our business is generated by 'word of mouth' recommendations from previous clients' and guests. Please click here for our Testimonials page. We just wanted to say thanks for doing a great job of being our wedding DJ. We thought the lights, sound, playlist and mixing were all great, and importantly people stayed on the dance floor from start to end, well done! Hope you had a good time too, attached is the survivors photo you guys took from the stage. I just wanted to drop you a note to say a big thank you to you and the team for the brilliant job you did for us on Saturday night. Everything looked and sounded spectacular and it was wonderful for me to take a step back a leave you, the ultimate professionals to run the show so exquisitely! I thought the festoon lighting worked so very well and we absolutely loved our sophisticated and beautifully lit stage, (as did all the artists!) a real step up from the last picnic and one that we shall definitely be repeating in 2020 when we shall be hosting again. . .please put a note in your diary as we’d love have you guys with us again. 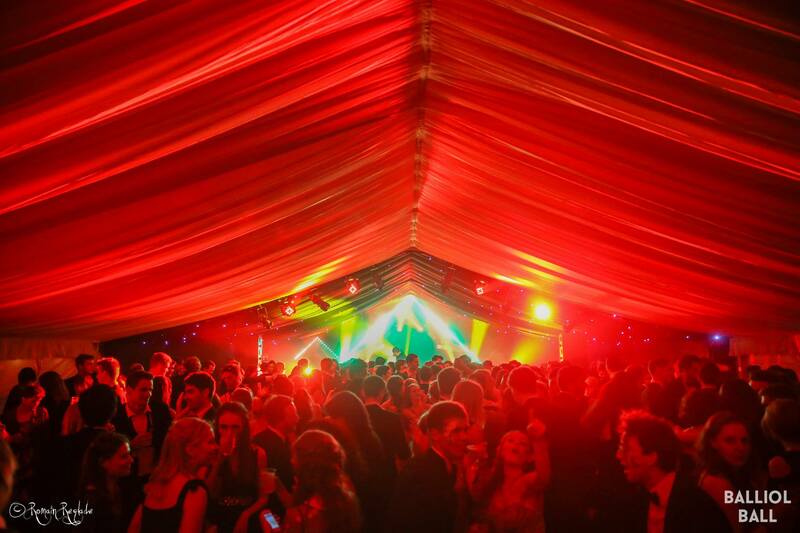 I wanted to write to you on behalf of the whole of Green Bean Machine, we performed at the Balliol College Garden Party in Oxford on Sunday 6th May where you were responsible for the marquee, staging and the sound engineering. We also want to extend a personal ‘thank you’ to your sound engineer who looked after us at sound-check and during the performance. He really was exceptional, and we thought that you should know! Thank you very much, and we hope to see you again at another event! We just wanted to message to say a massive thank you! You were absolutely brilliant and kept the dancefloor busy all night! You truly are so talented and everyone has said to us what a fantastic DJ you are!!!!! Thank you so so much for making the day so special. You are brilliant! Thank you again for everything you did for our twins 18th birthday party on Saturday. I have to say that I was very nervous about having so many teenagers around, but you and your team did a fantastic job and certainly took all of the stress away! The marquee looked amazing, it certainly had the wow factor, especially with the lighting and you did a great job with the music too. A couple of our neighbours have told me that they were having a dance in their gardens! I really appreciate how your team handled the bar and kept the alcohol levels to a minimum. I really do believe that this contributed to a successful party as no-one got totally out of hand. We had lots of thank you's when the guests were leaving and the feedback has been that it was the best party they have been to! I will be in touch next year to see if we can book in for our 25th wedding anniversary celebrations. Just wanted to drop you a note to say thanks for your lighting! 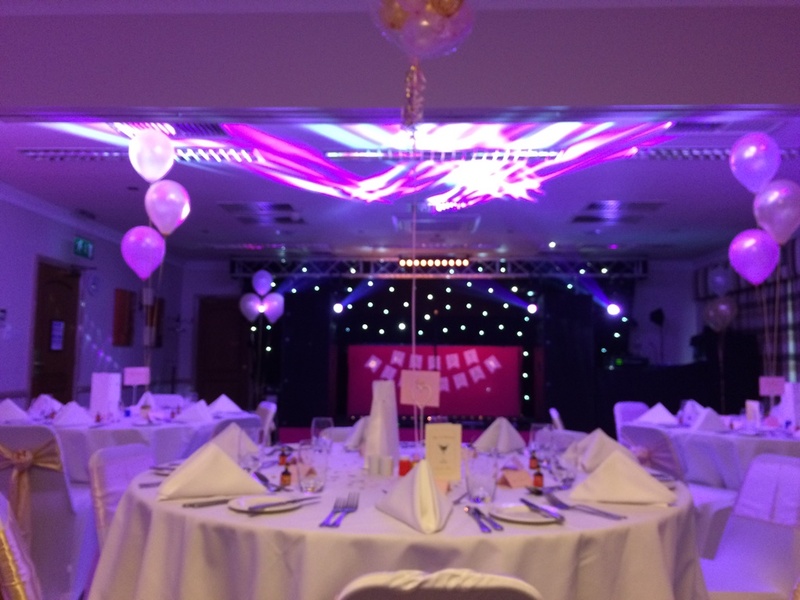 The fairy lighting canopy beautifully complimented the room and definitely fulfilled the look we were going for. You guys have been really easy to work with, responsive as well as very helpful and flexible. Would definitely recommend you to any friends. Anna and I want to thank you and your crew so much for the excellent job you did on Saturday. Extremely calm, professional, flexible and thoughtful; you did a great job all round. Everyone had a fabulous evening and it wouldn’t have been at all the same without you! We really appreciate everything you did to help make the evening a success, and thanks to Olly for the great referral. We will certainly pass your details on to anyone that is in need of a fine DJ !! I was just wanting to e-mail to saw a huge thank you for the wonderful marquee and production you guys did for us at our ball. It really made the night and we had so many compliments on how it looked - especially the rainbow half of the marquee and the lighting on the wishing tree! I wish you all the best for the future and hopefully will see you next year! I just want to say a huge thank you for your hard work and help with our event, you were absolute backbone of the event and we really appreciate it. I will most definitely be recommending your services to other events if asked! Thank you so much for everything you did for my party at the weekend! Everything went so well and everyone had such a good time! I also had the best night ever. The guitars on the table were admired a lot and everyone said the music was so good! Thank you for playing those few extra songs at the end! Couldn't have had a better night and I hope you managed to get some sleep at the end?! “Thank you so much for all your hard work and fantastic DJ at our wedding. The guests were so happy dancing and laughing all night long and your DJ was so kind as to keep playing until the last dancers could stand! I was hugely impressed by his professionalism and ability to know exactly how to keep the atmosphere bubbling all the way through from the reception to the dancing. Thank you very very much!" "An enormous thank you for all your hard work, you were highly professional and it was hugely appreciated..."
"I left without thanking you for your part in making Saturday night so successful, the music was fantastic and the dance floor was always full, we could not have asked for anything more. My daughter wants you to do her 18th (2 years time) so keep in touch, and who knows I may even do "Remix" again! Best Wishes and thanks again "
"...what a huge success! I cant thank you enough, everything was perfect. Take a look at my wall you'll see the comments speak for themselves. Everyone had an amazing time and the barn looked awesome. You'll be pleased to hear a lot of my friends particularly noted how well the music was done - it was a really good balance and just the right amount of heavy stuff against the earlier requests for light dancing material. Hope you make some business out of it and thank you for all your work on it. I had an amazing time and I'm sure next time we need the barn decked out for a party mum will pop you an email. We were thinking the stables would probably suit some other good themes too - circus perhaps!? Anyway thanks for everything and hope all's well..."
"DJ Rory C you were incredible, unforgettable DJ'ing, and the entire party was ideal. I hope you had a good evening, and also that I hear some of your tunes on the radio one day. Thanks again, your wicked!" " We wanted to send you a big thank you for being a great DJ at our Wedding at Kirtlington Park. You were very Professional and the dancefloor was always full - it was a great party, so many thanks." "...thank you so much for your sterling work at the wedding. Everyone said how fantastic the music was..."
"Thank you very much for the great contribution you made to a successful party"
"Thank you for doing such a brilliant job at Vicky's Birthday party on Saturday. The kids had an absolutely fantastic time and loved it!" "RJCC Events delivered top-notch event equipment for the infrastructure of the Silverstone Legends of F1 Festival. Their commitment to the job was beyond the call of duty - thank you." "Thanks so much Rory for last night! Everyone's been saying how fab you were! I shall definitely be recommending you to all my buddies, take care, x"
"Thank you and your team for all the hard work over the weekend. It was much appreciated and in particular the comments back from Saturday night were excellent!" "...We had a great time at our ball. Thanks for doing a brilliant job!" "Thank you so much for Friday night. You were amazing & the party would not have been the same without you. All my friends thought you were brill! Can't believe you played so late! Very impressive!" "Good set with the music - thoroughly enjoyed it!" "Once again, thank you ever so much. I don't know anyone who didn't like the music- good job! " "Thank you so much, the whole thing was very professional and everyone had a great time!" "Thanks very much for Friday night, it went down very well... I think - unfortunately I cant remember very much! Excellent music though!" "What a night! Can't wait for you to do my next one - something better than a boat if that's possible!" "Well done, terrific music, everyone had a super time!" "Legendary - the music was brilliant - clients very happy & not a garrulous DJ in sight! Many thanks!"